We are a small, family run, domestic electrical company. Guj Sahib started Electrical Service Team in 2010 and is based in Isleworth, Middlesex. We cover Isleworth, Twickenham, Richmond, Kew and the surrounding areas. 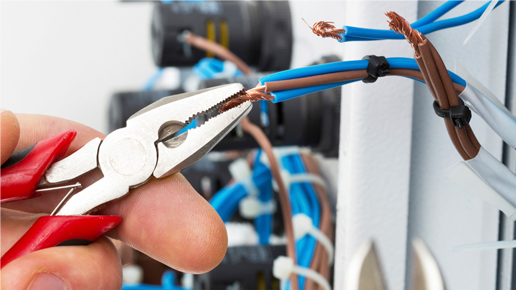 Electrical Service Team specialise is domestic installation and the provision of a range of services directly to Homeowners, Letting Agencies and Landlords. Have you found it difficult to find an Electrician in Twickenham, Isleworth or Chiswick, to carry out small jobs? Do you ask for quotes and never get a response? All of our work complies with the latest version of the electrical wiring regulations (BS7671:2008) amended to 2015. We are registered competent persons with NAPIT meaning we can sign off our own work as building regulations compliant. Why not give our team a call if you need an Electrician in Twickenham, Isleworth and surrounding areas for a free quote? 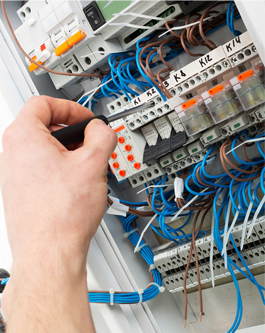 Electrical Service Team is a small, family run, domestic electrical company. Guj Sahib started Electrical Service Team in 2010 and is based in Isleworth, Middlesex. We cover Isleworth, Twickenham, Richmond, Kew and surrounding areas. Electrical Service Team specialise in domestic installations and the provision of a range of services directlyto Homeowners, Letting Agents and Landlords. Download your FREE e-booklet now!